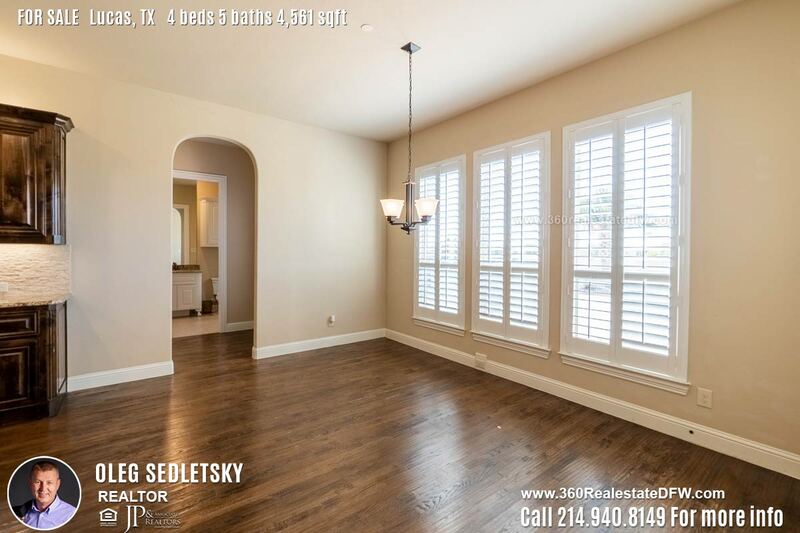 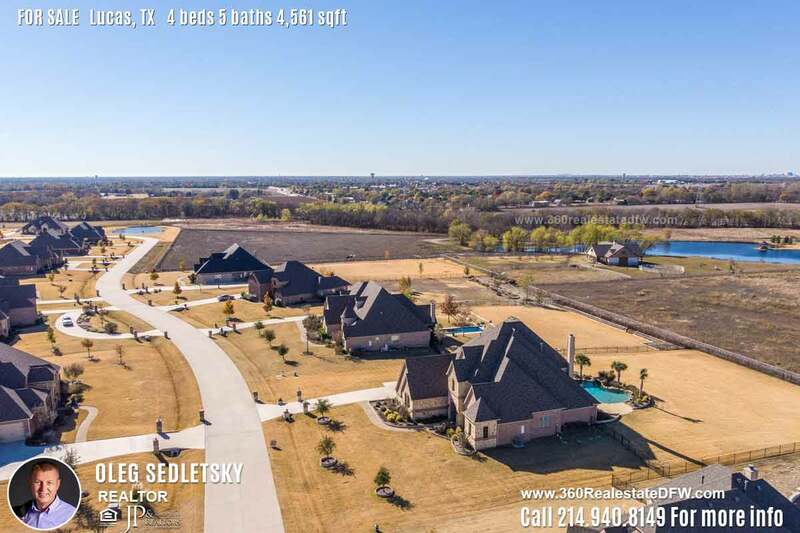 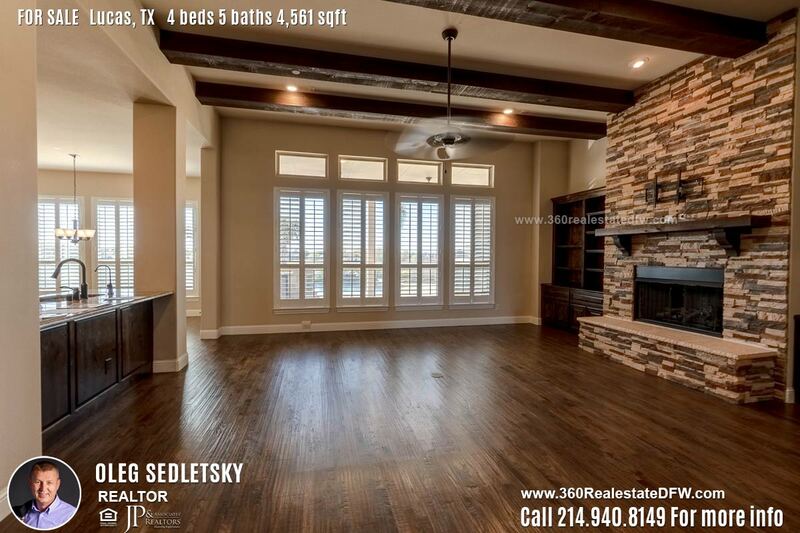 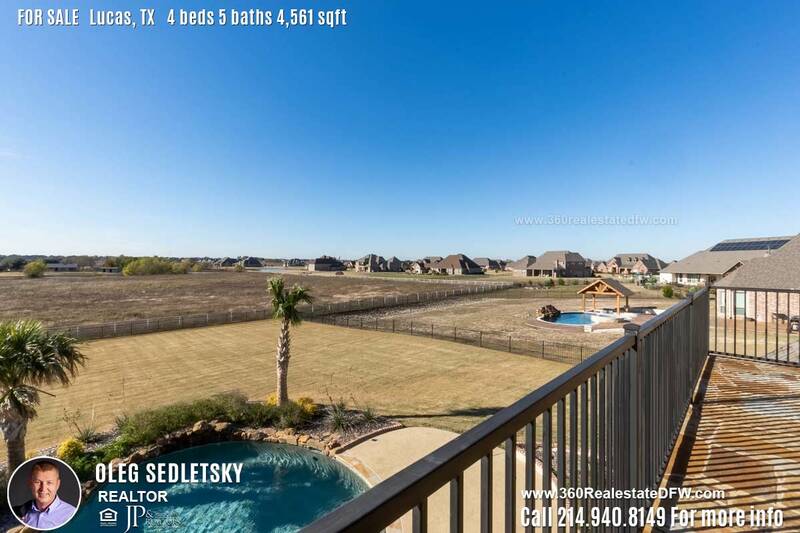 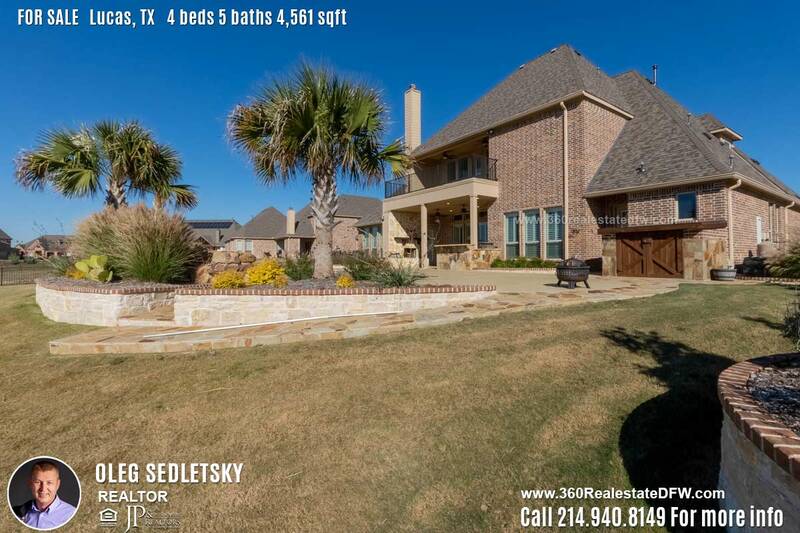 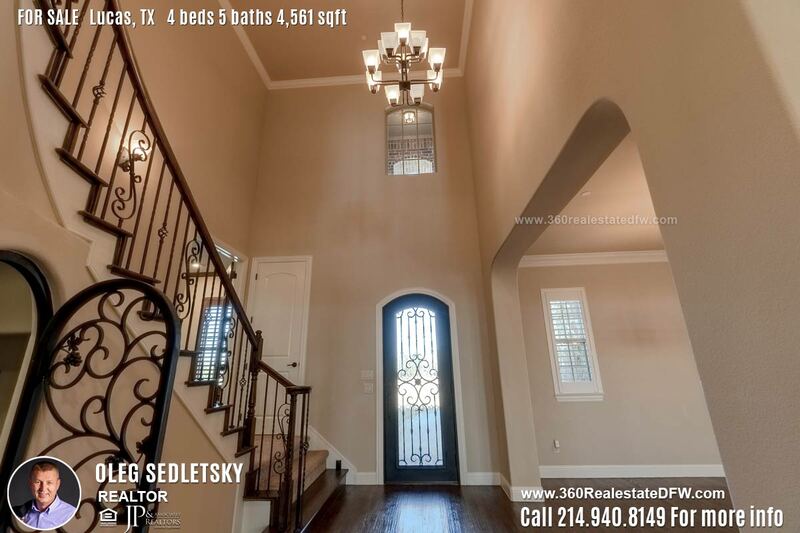 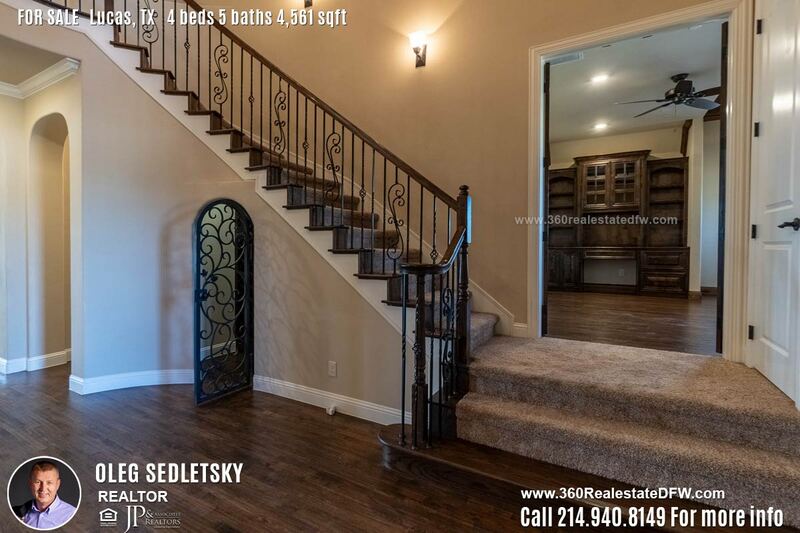 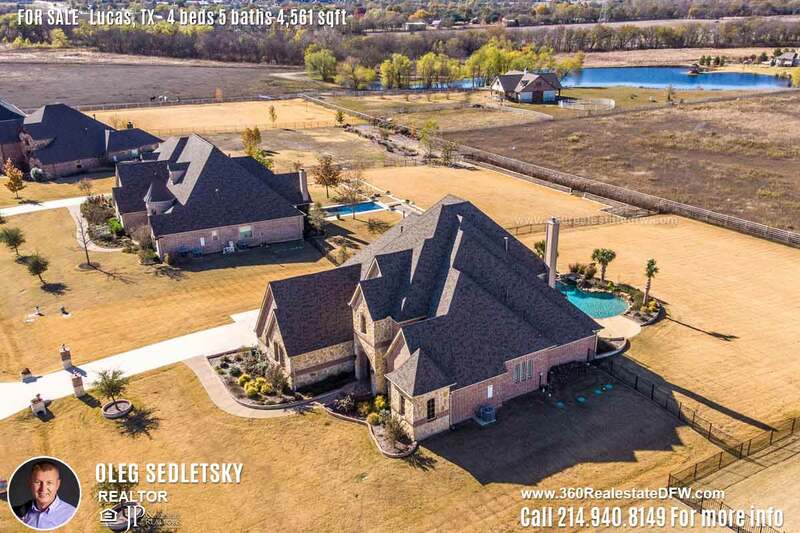 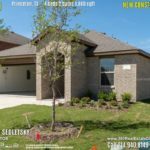 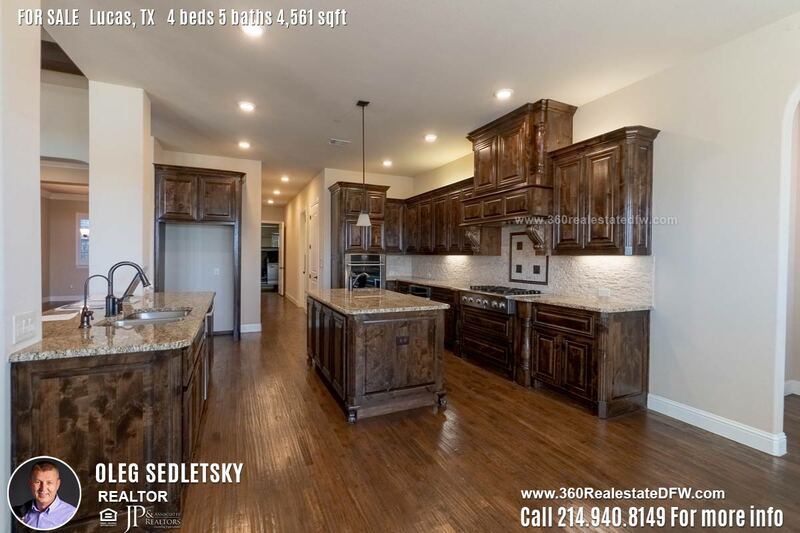 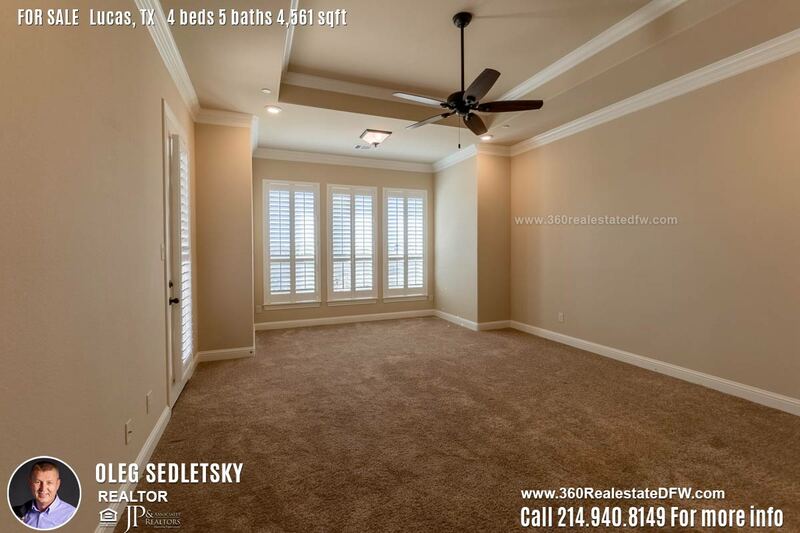 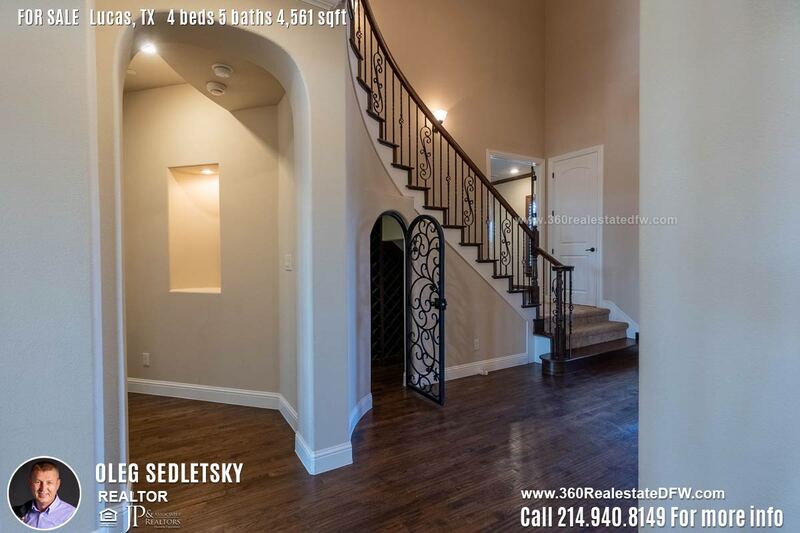 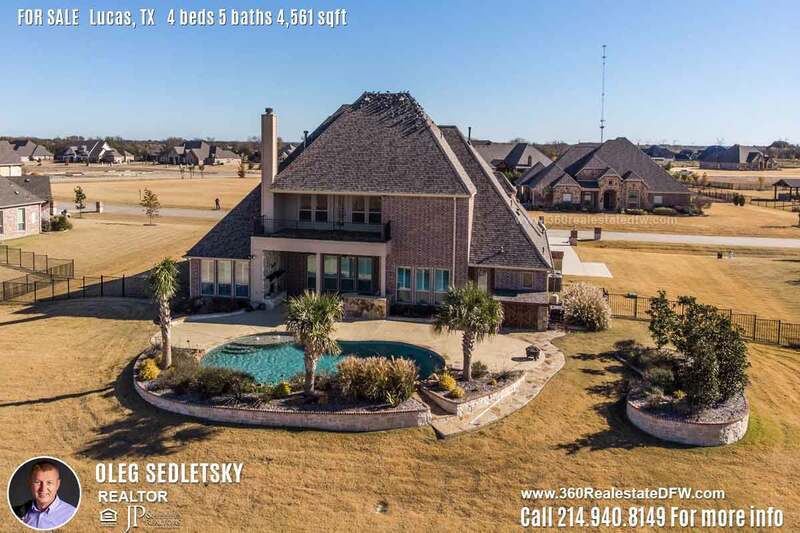 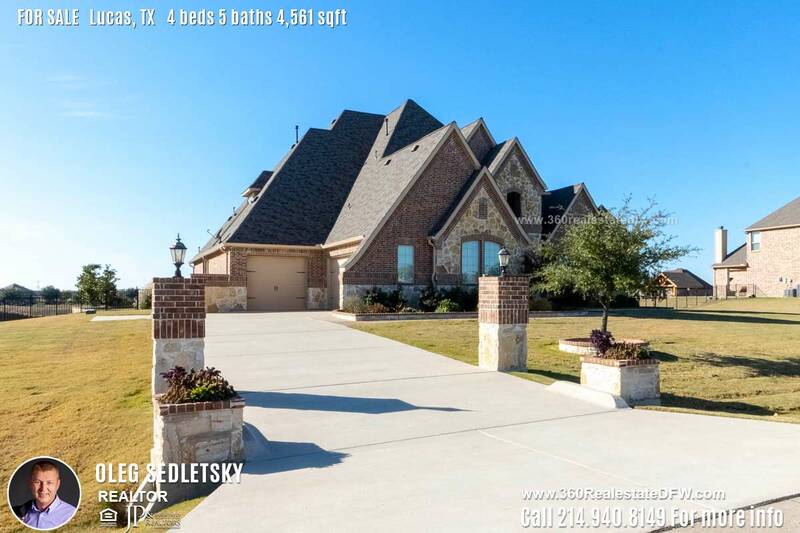 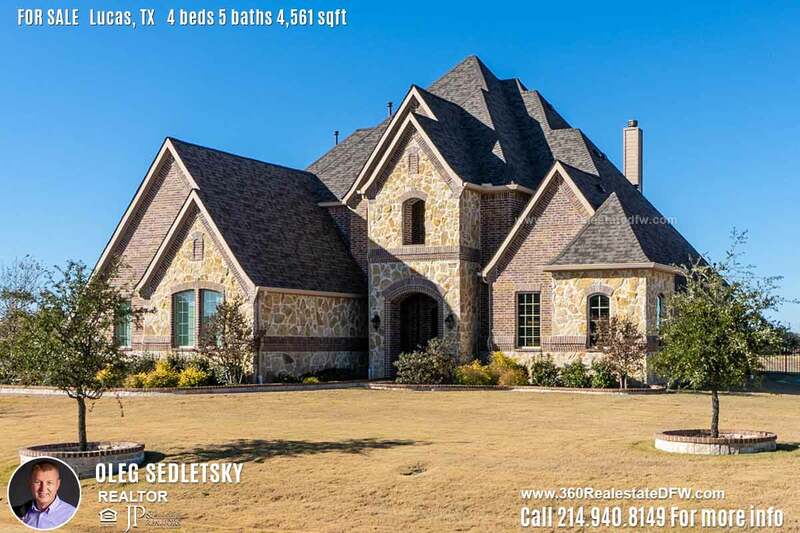 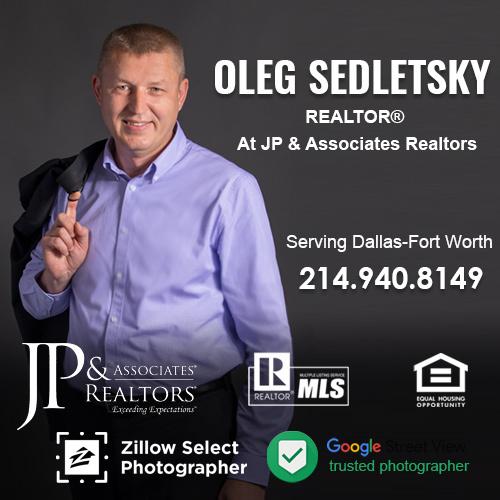 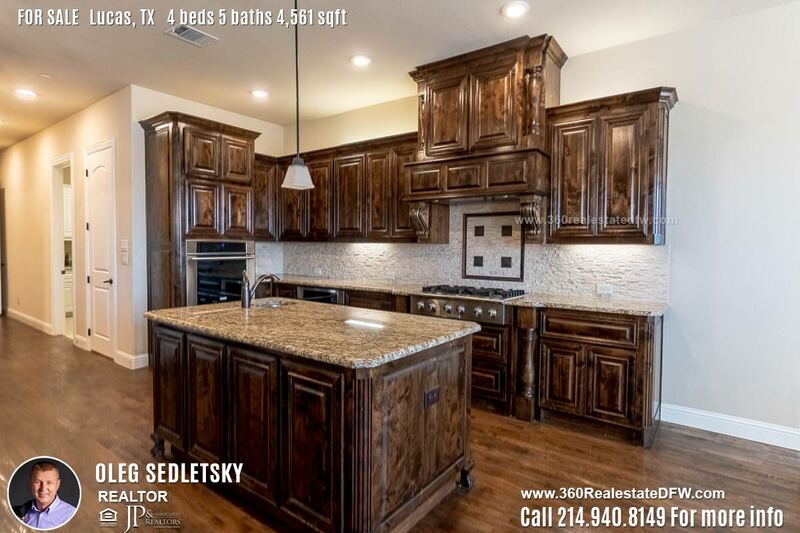 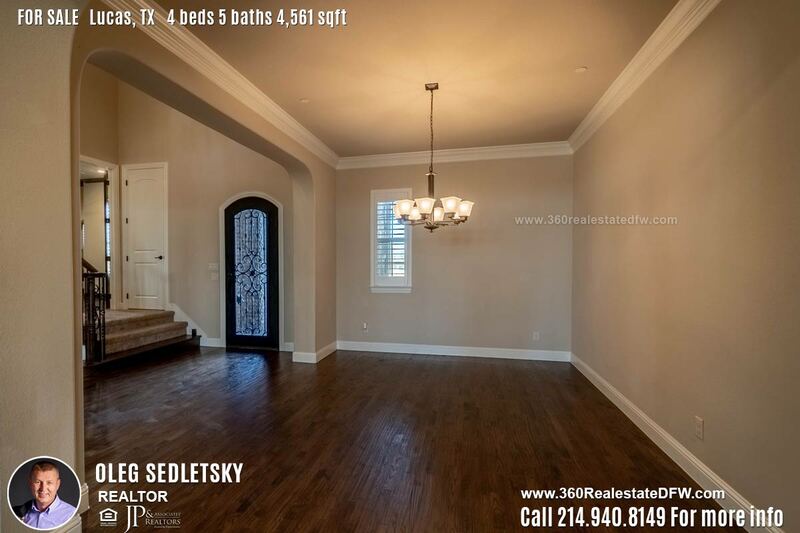 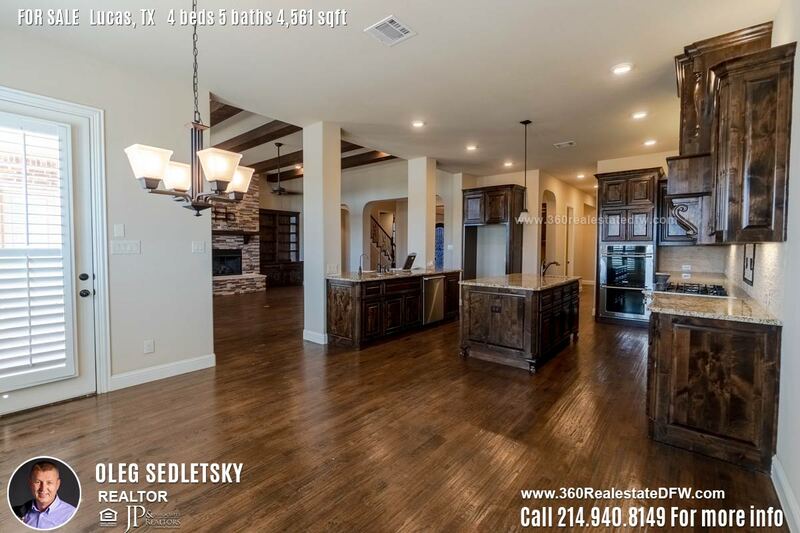 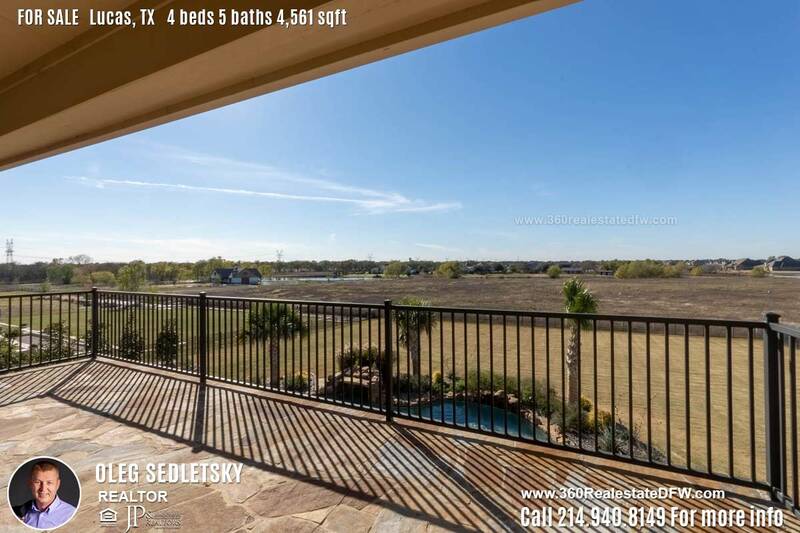 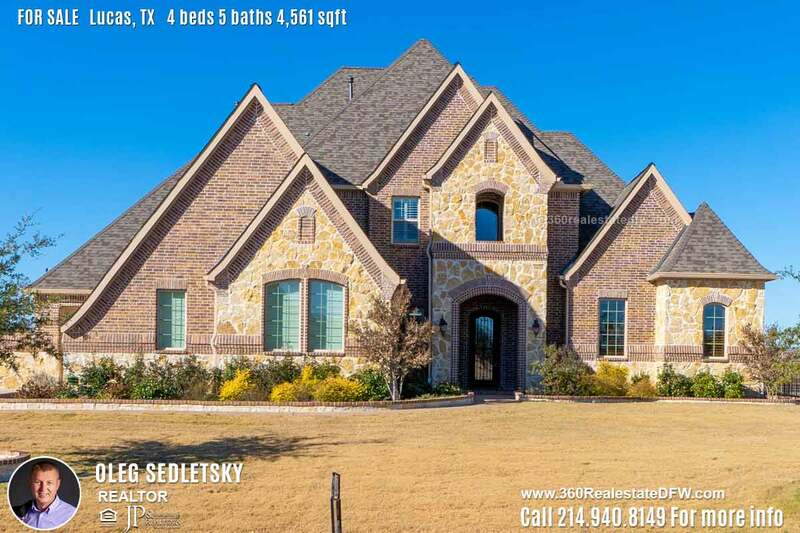 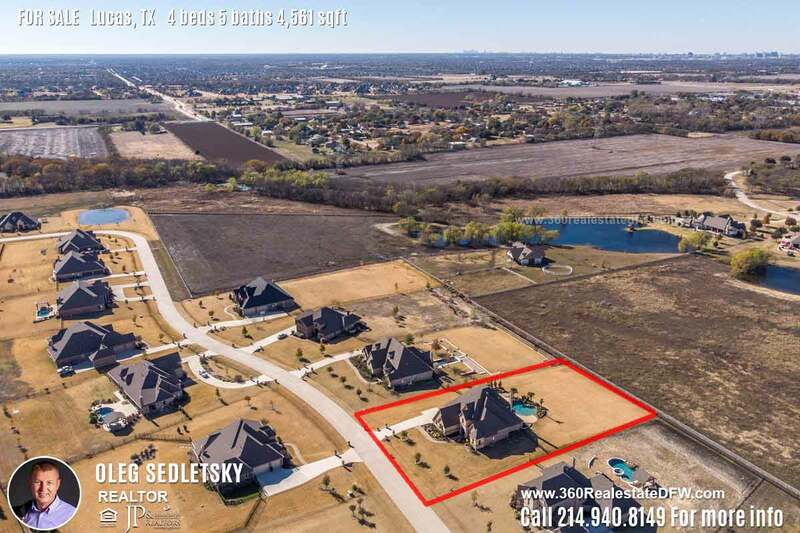 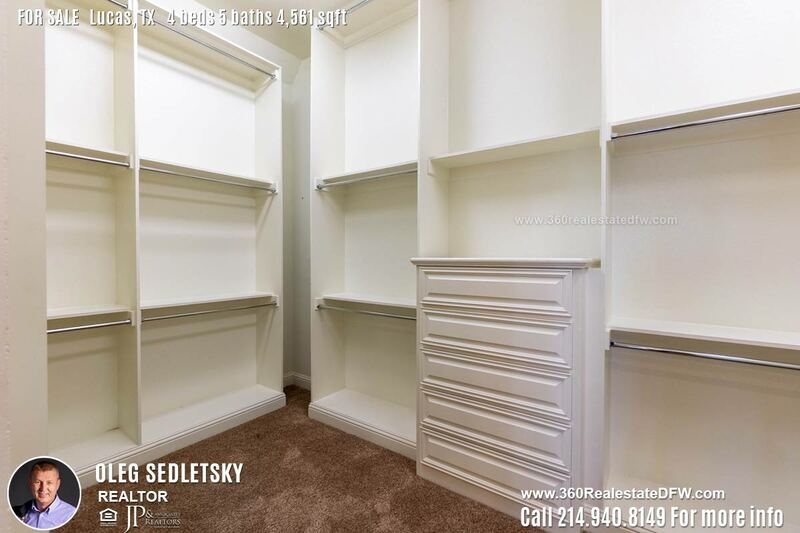 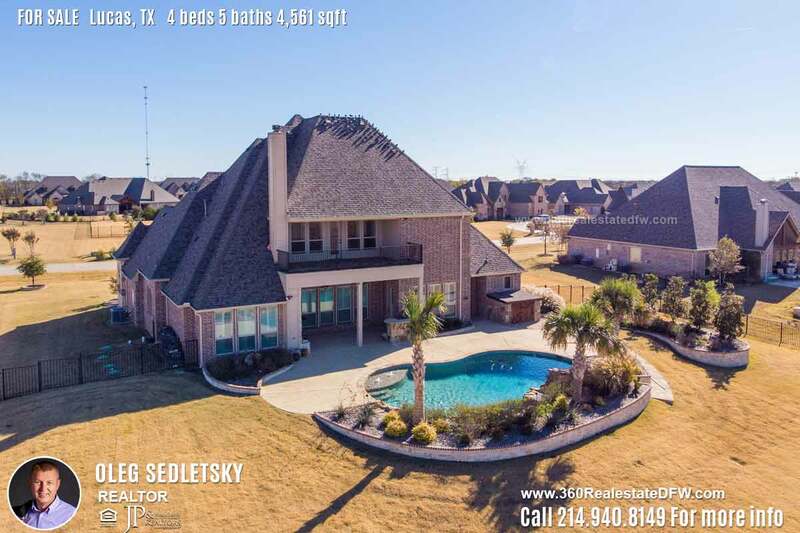 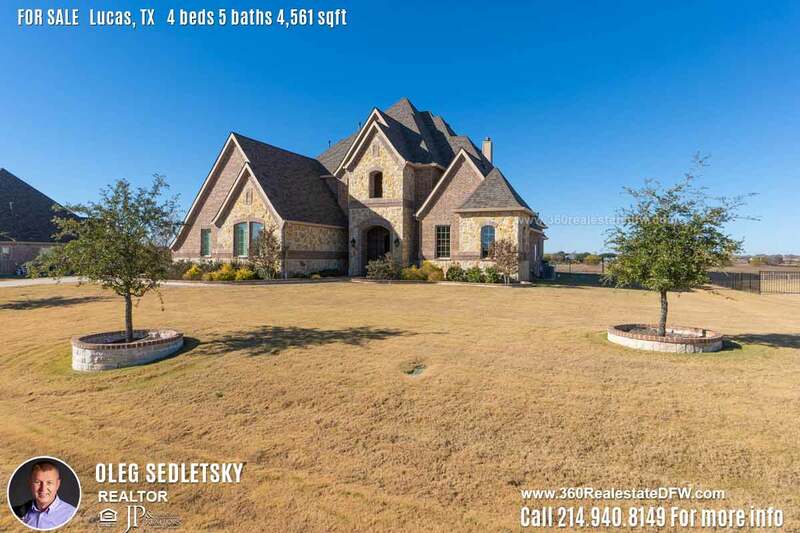 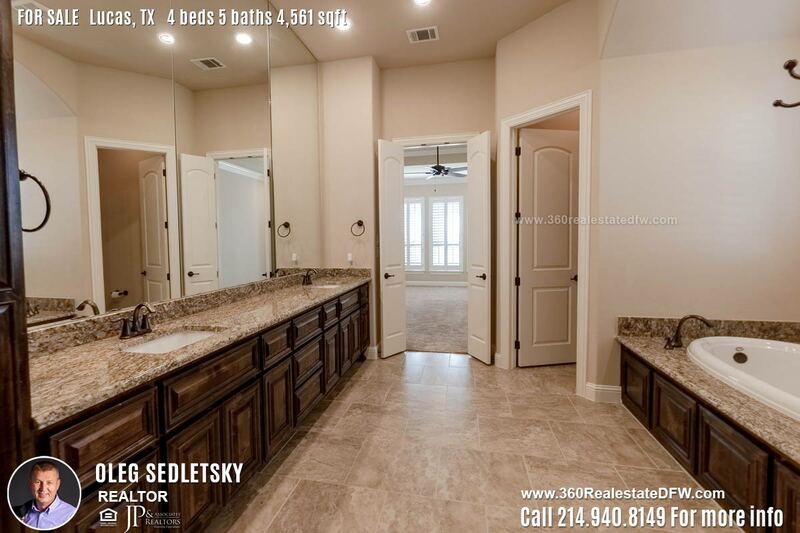 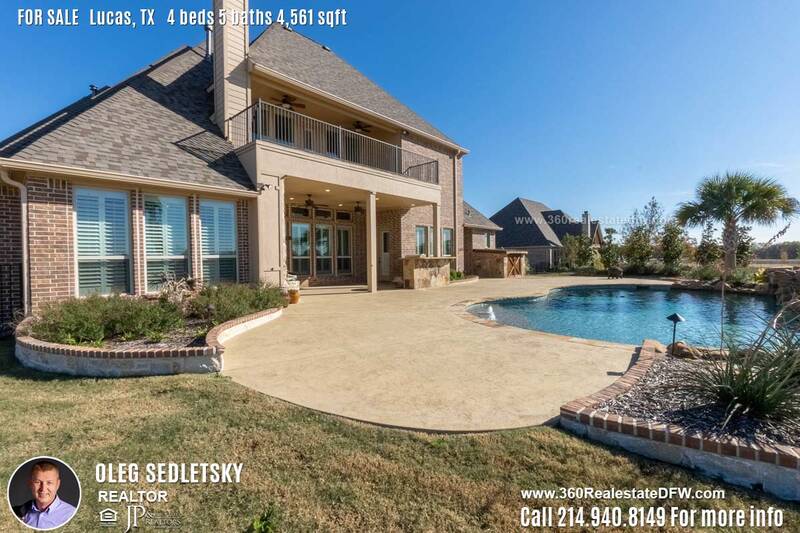 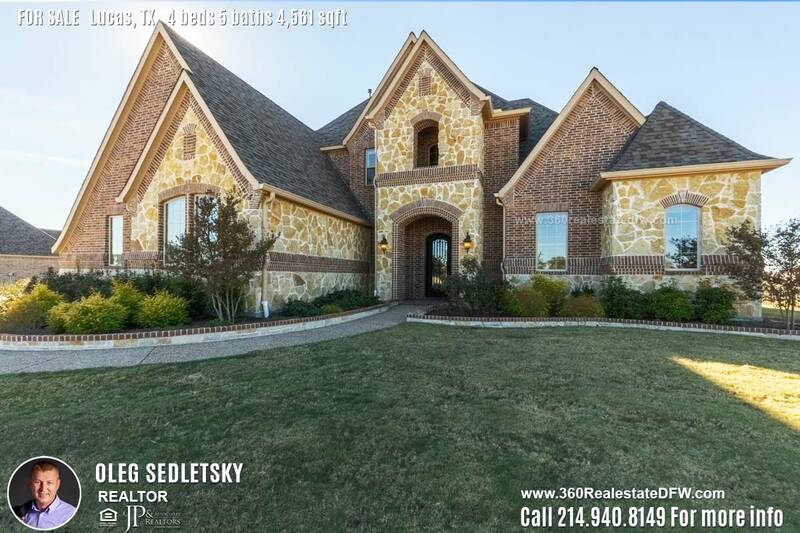 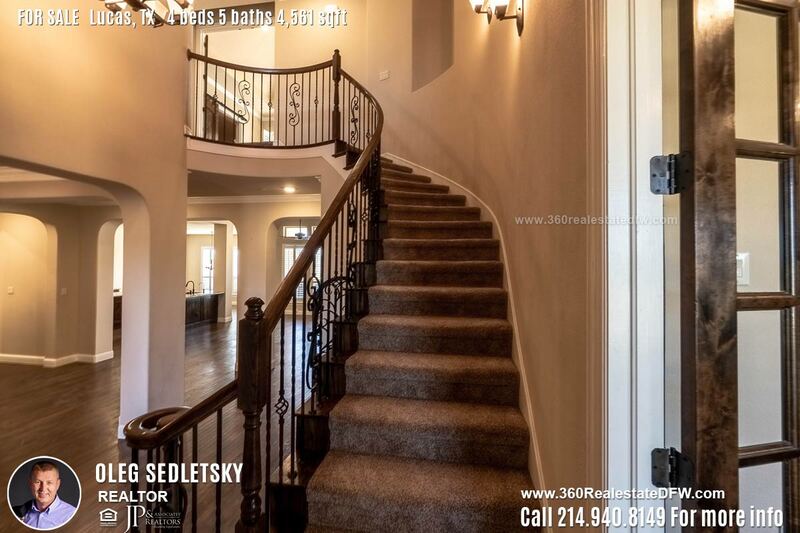 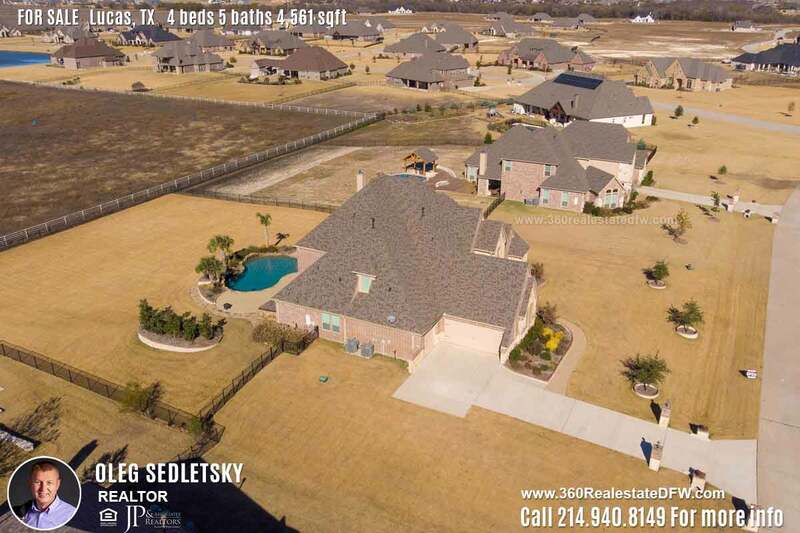 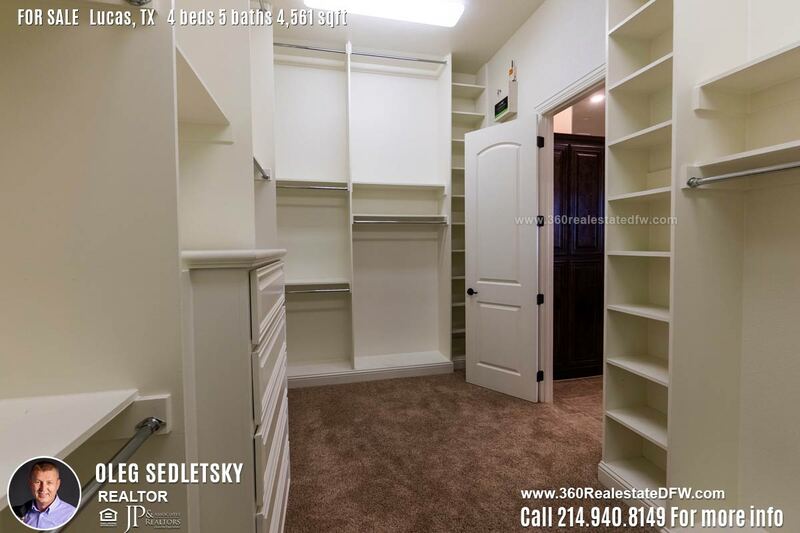 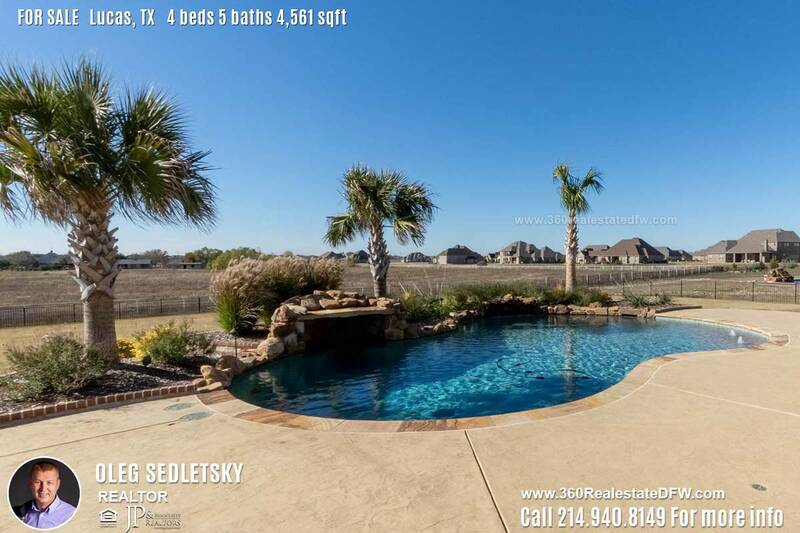 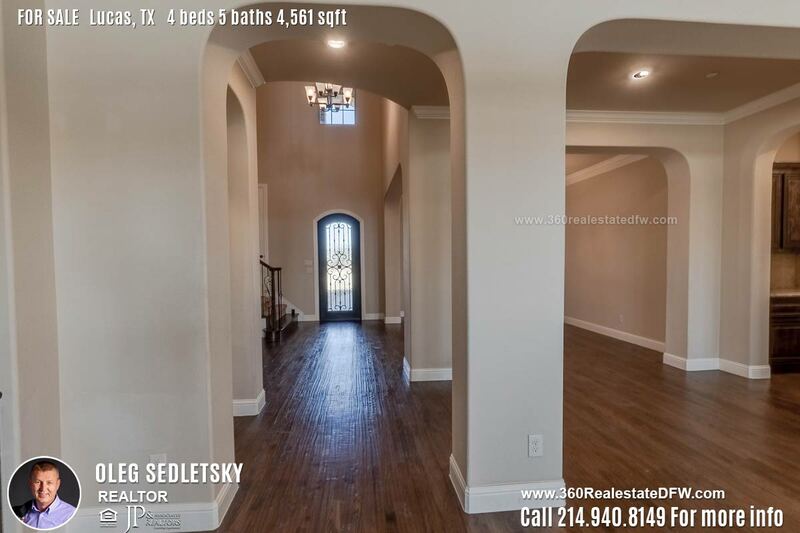 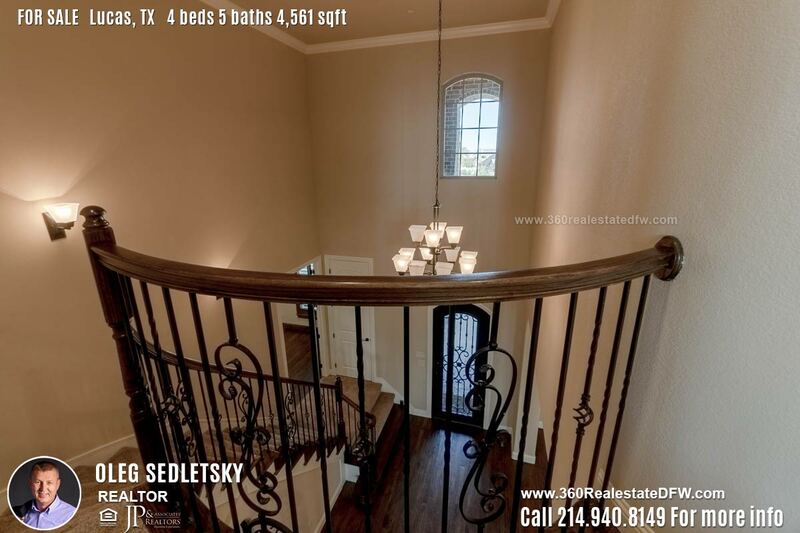 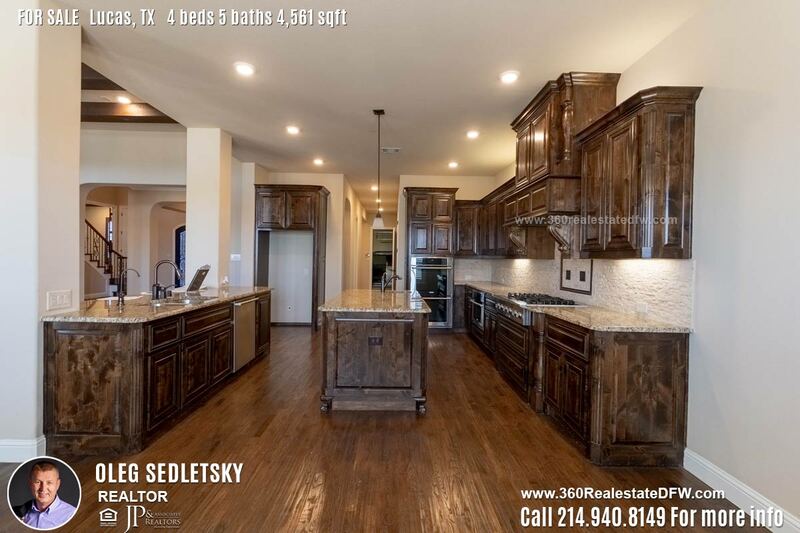 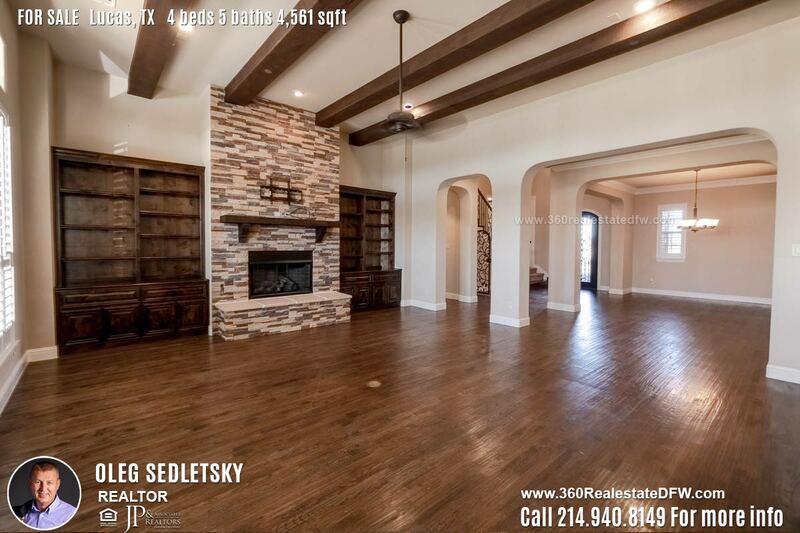 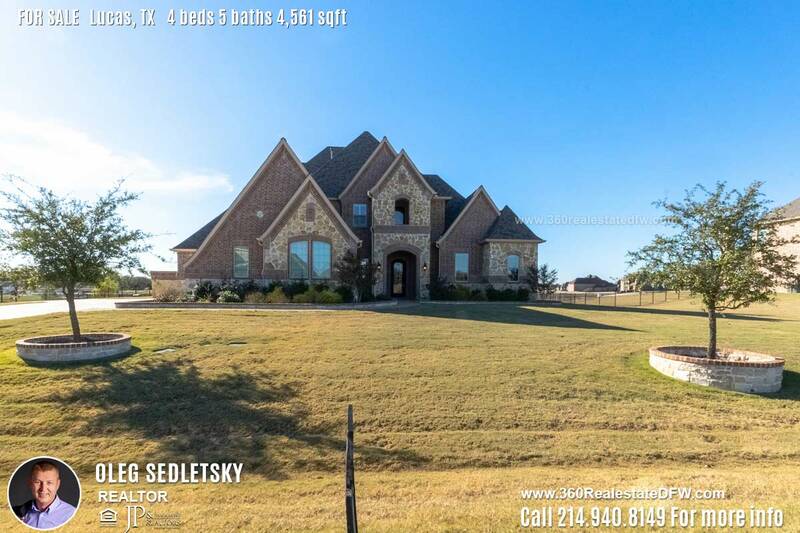 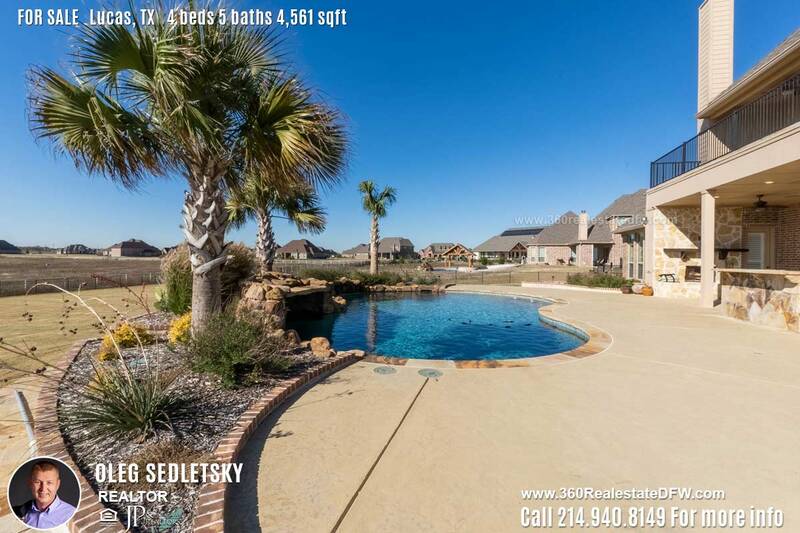 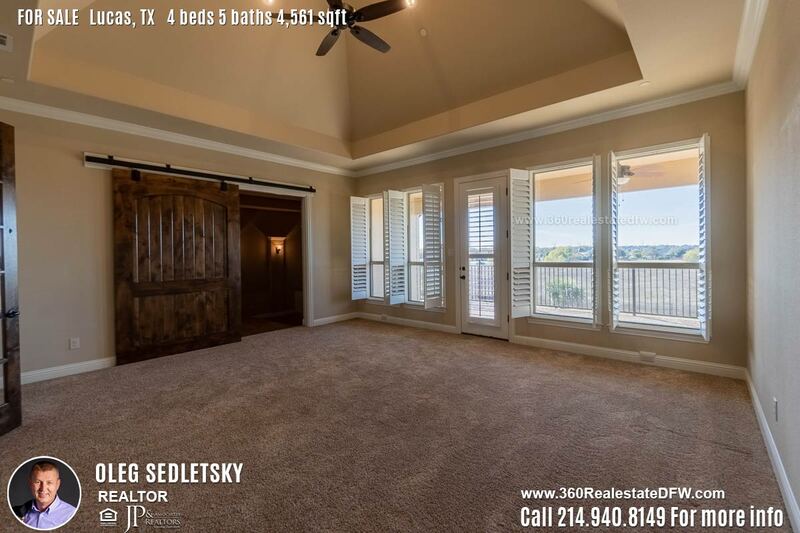 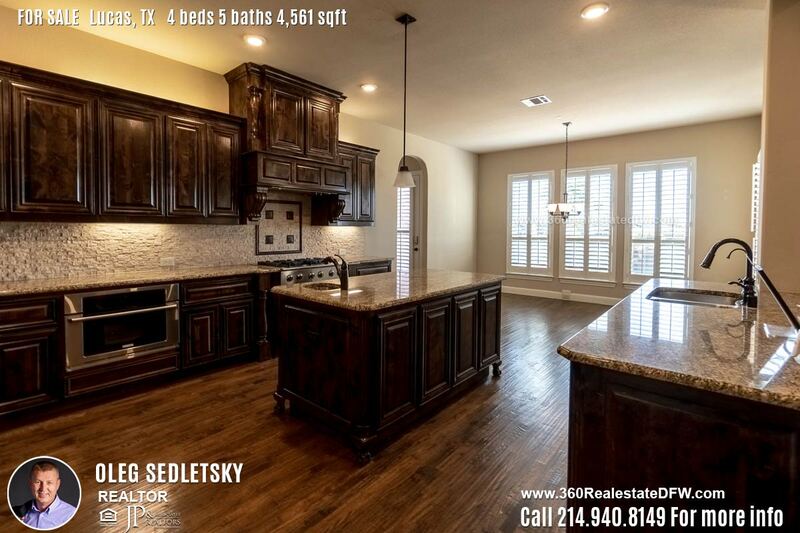 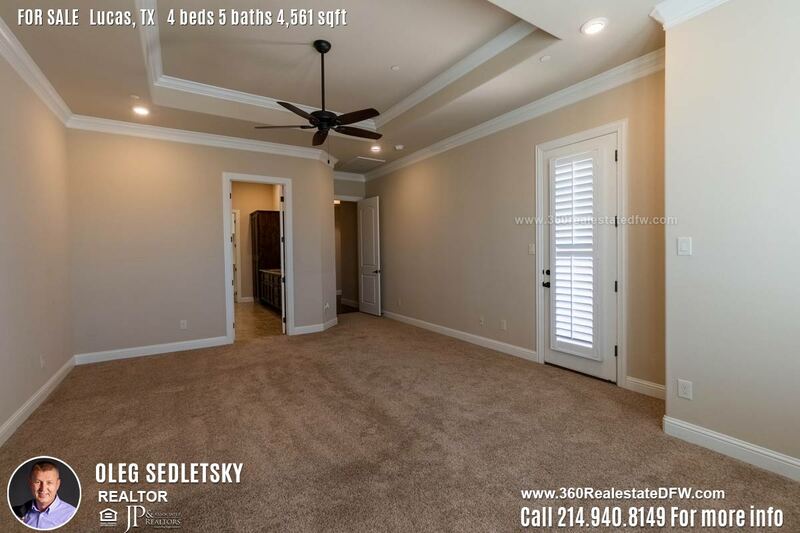 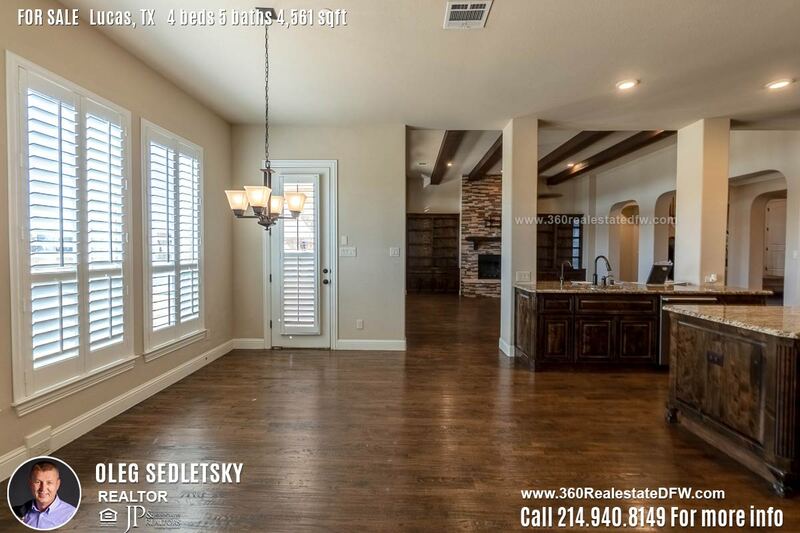 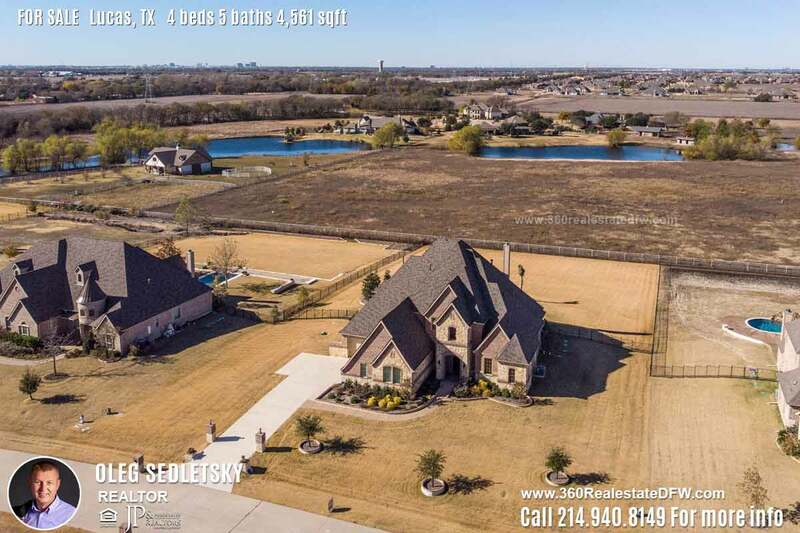 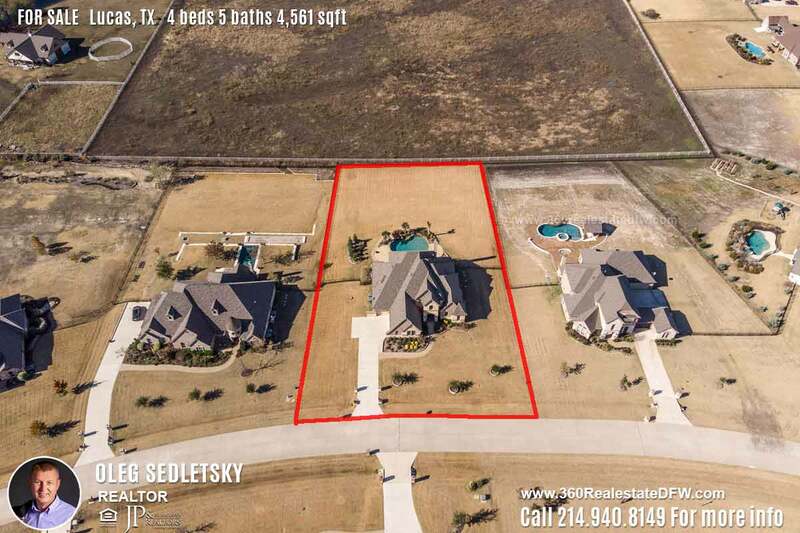 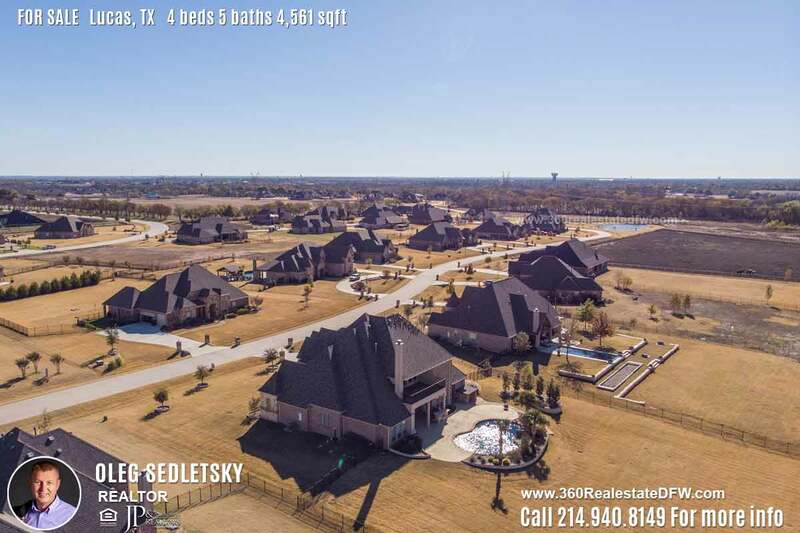 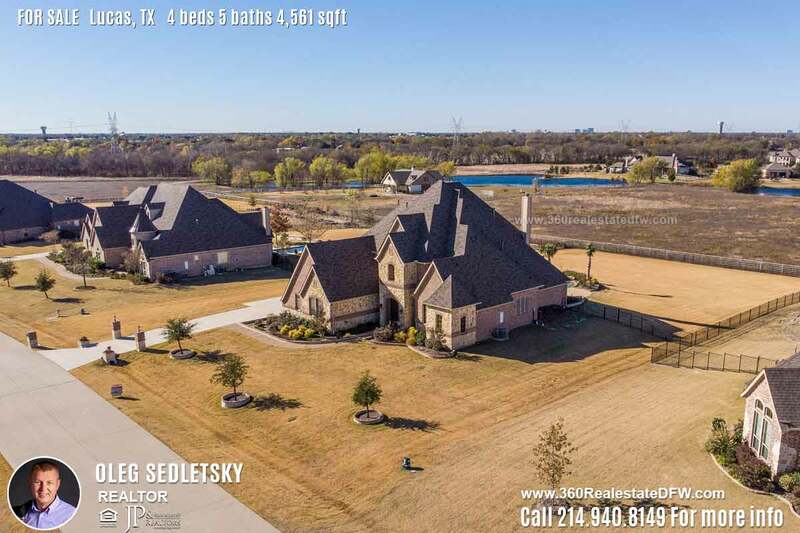 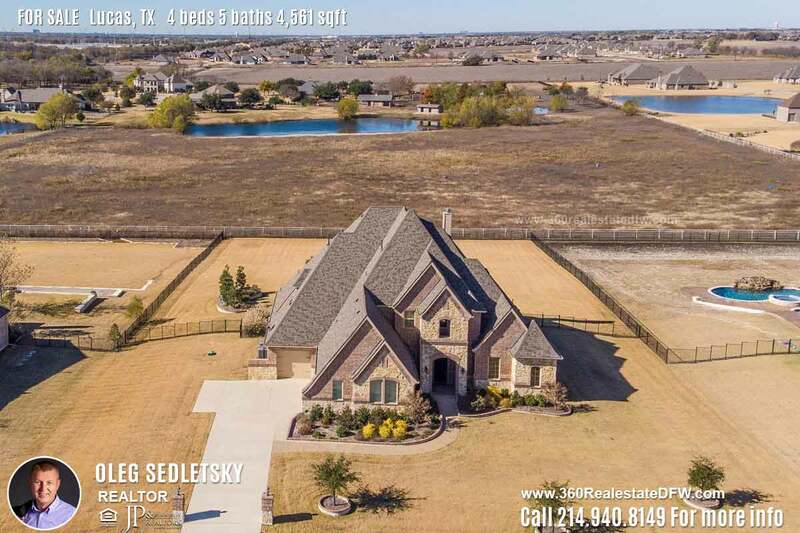 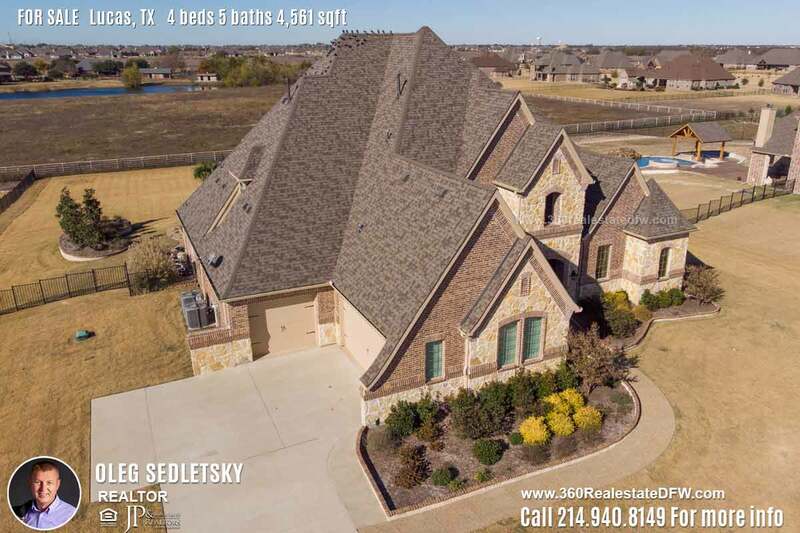 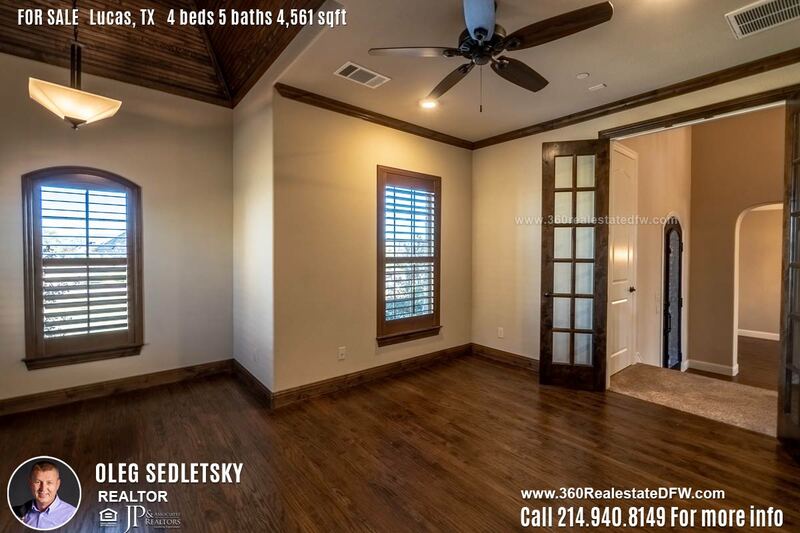 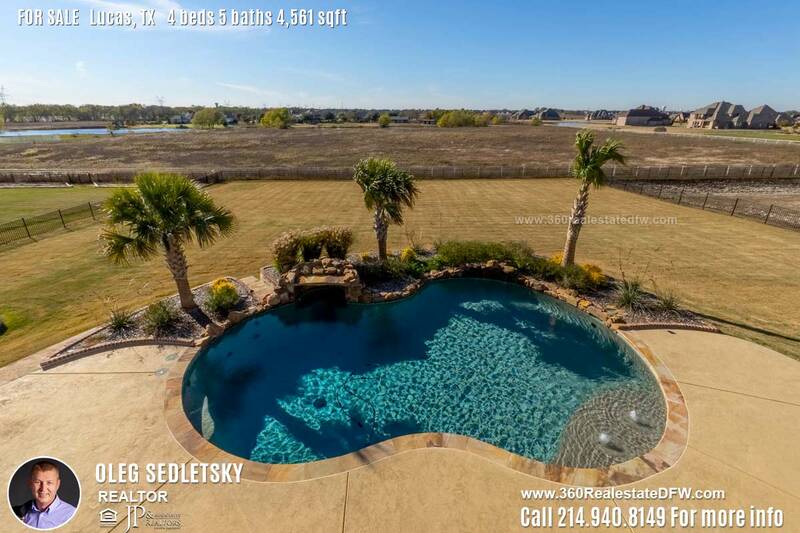 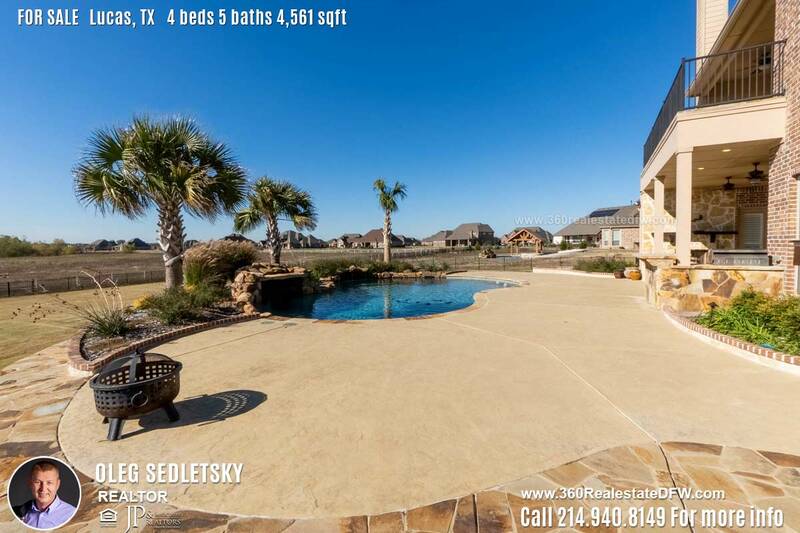 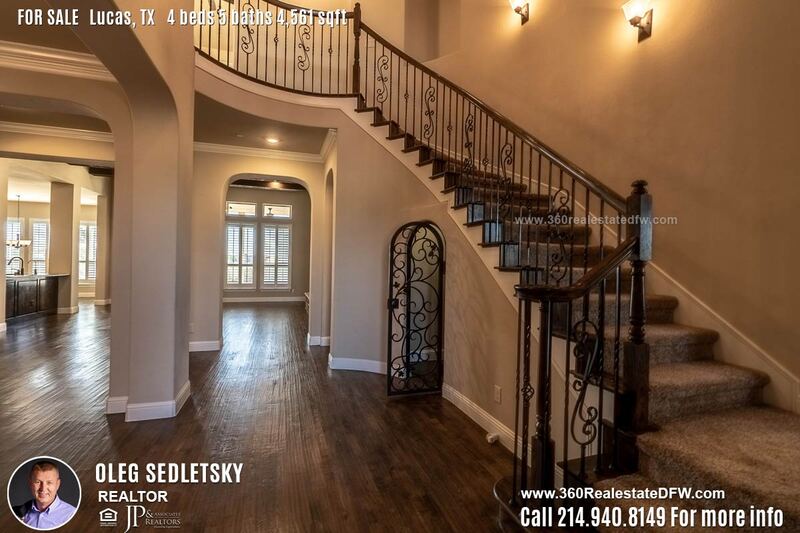 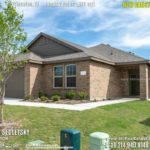 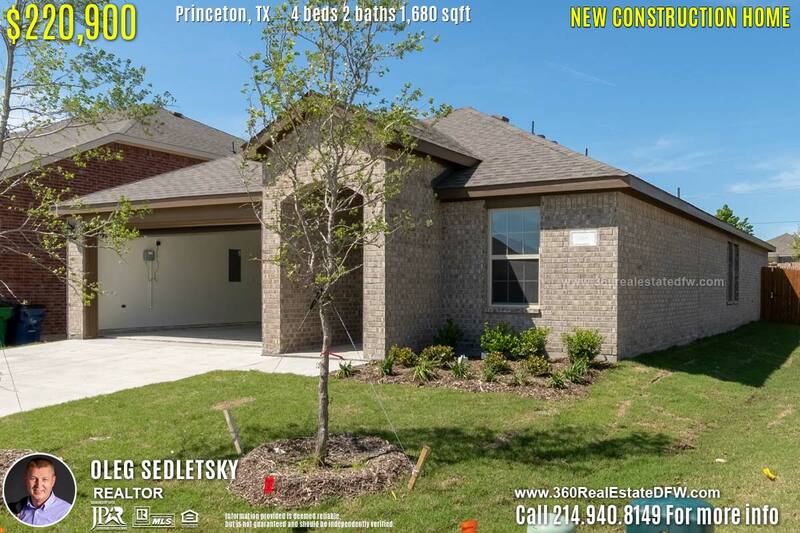 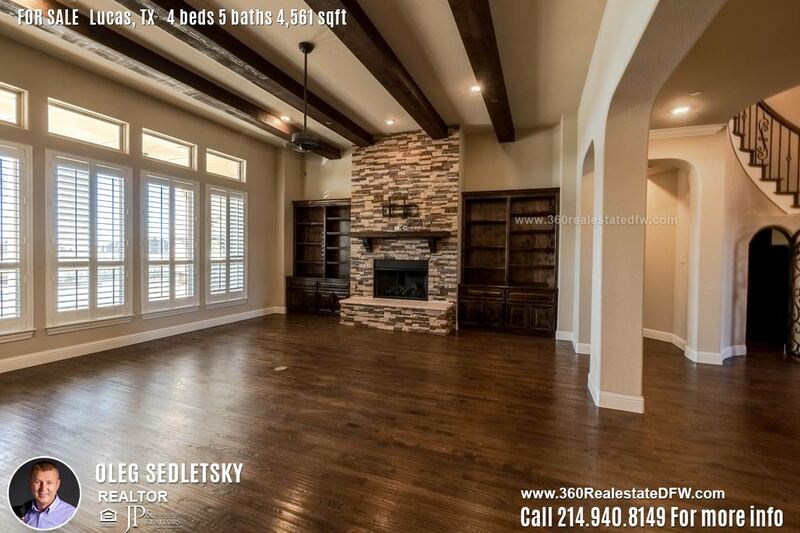 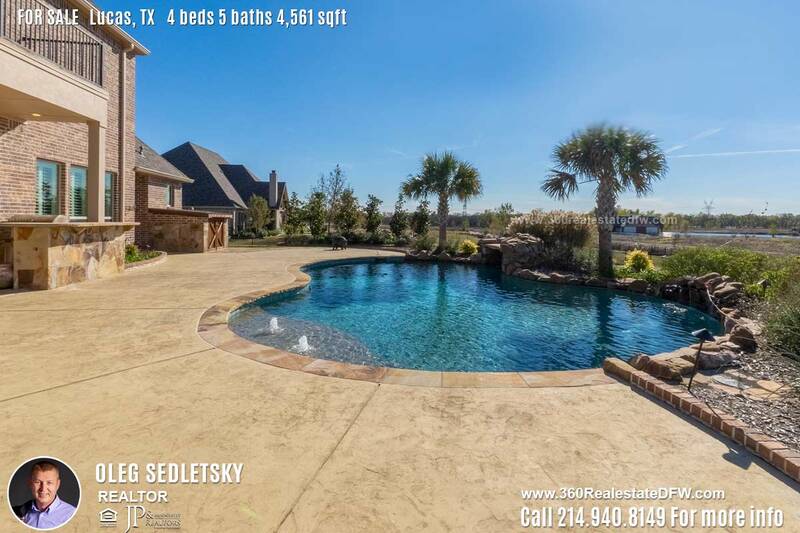 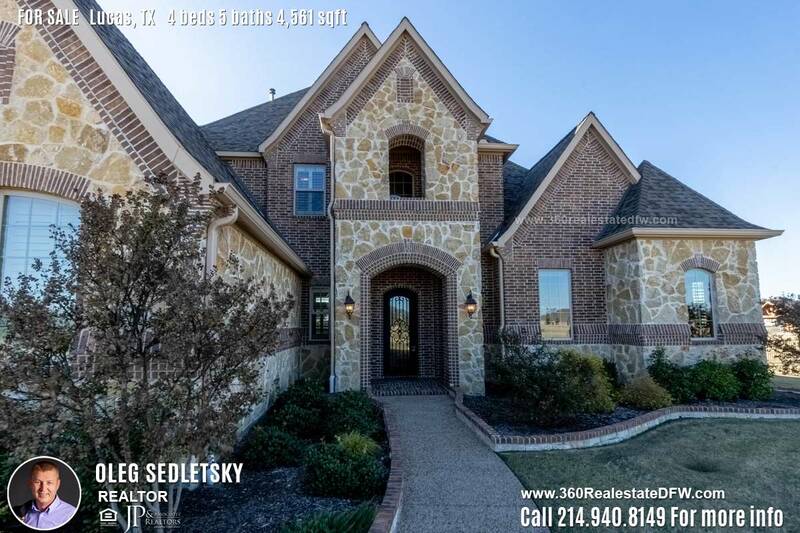 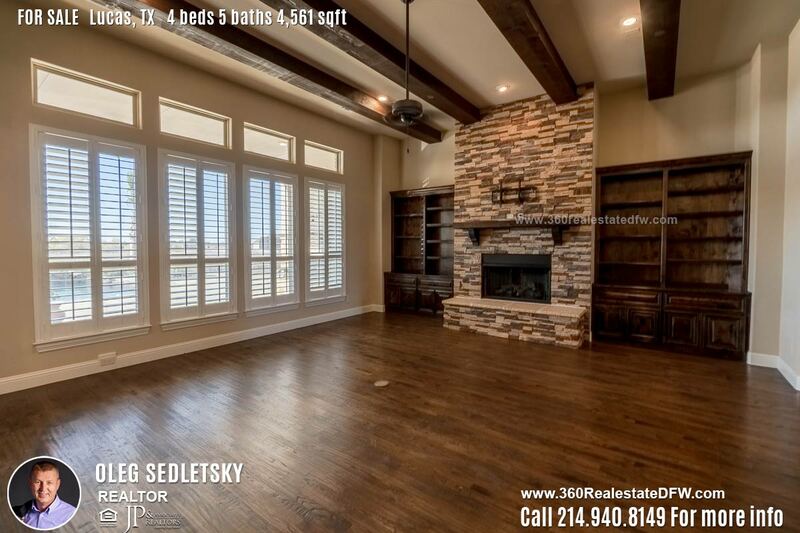 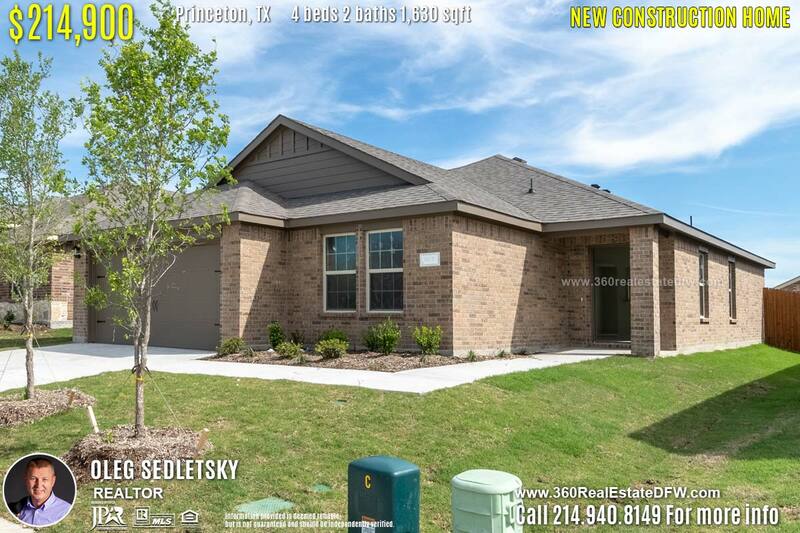 Lucas, TX Amazing 4 beds 5 baths 4,561 sqft Home is available for sale! 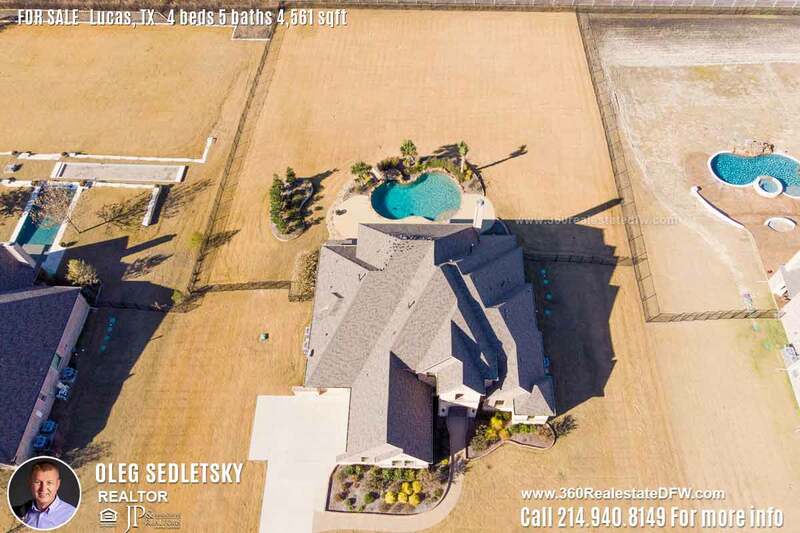 Only 4 years young & over $125,000 in improvements: plantation shutters, heated pool, extensive front & backyard hardscaping & landscaping, The entire acre is fully sodded & fenced including a sprinkler system! 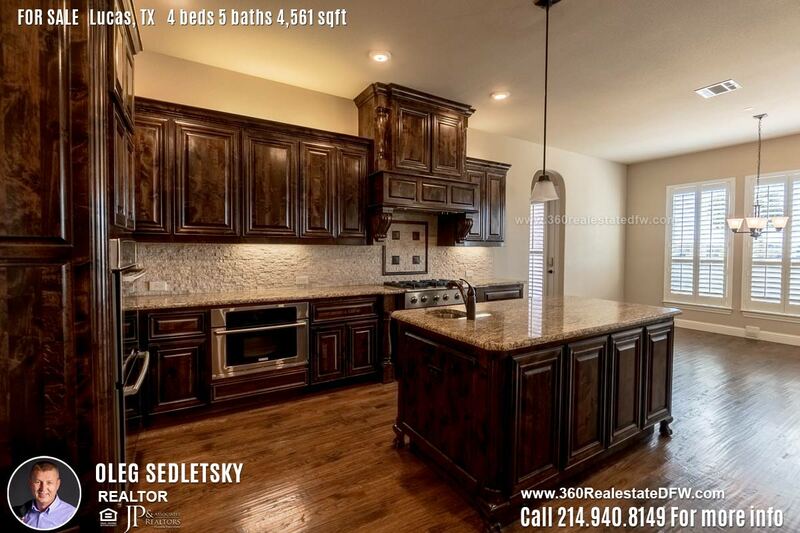 Chef’s dream gourmet kitchen with 2 islands, granite countertops, 2 sinks & stainless appliances! 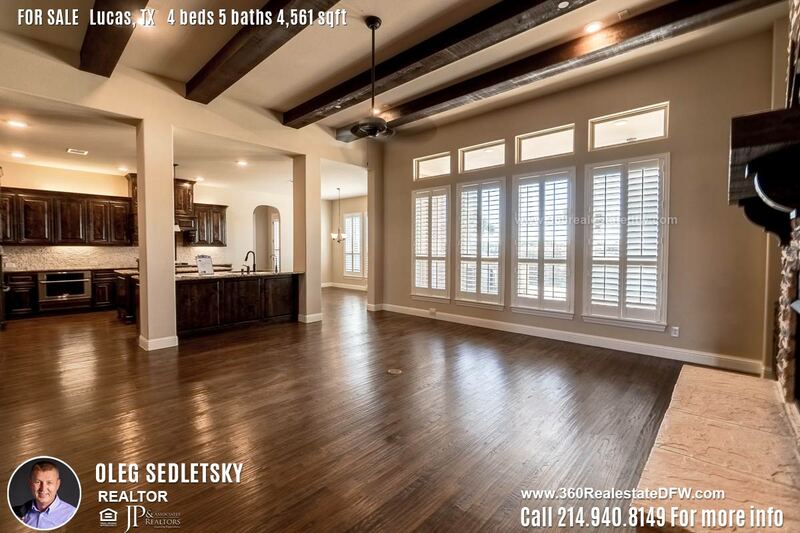 Beautiful hardwood floors! 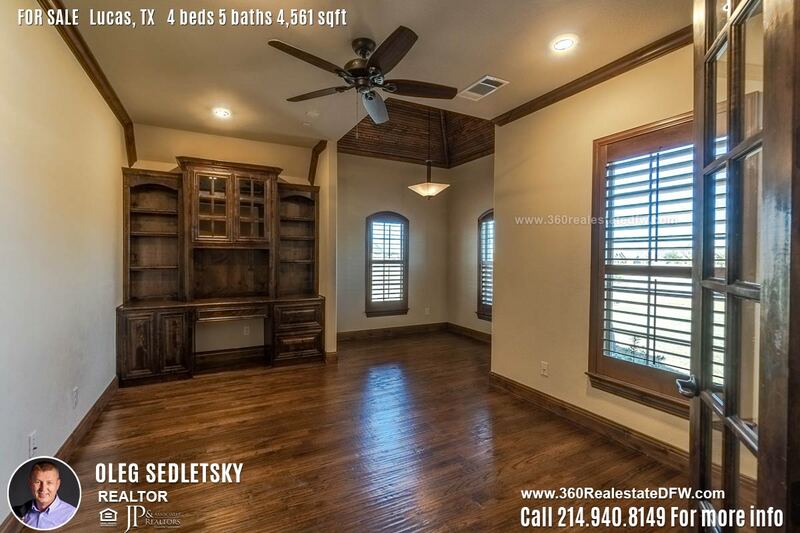 2nd floor has game room with wet bar & 2-level media room with sliding barn door. 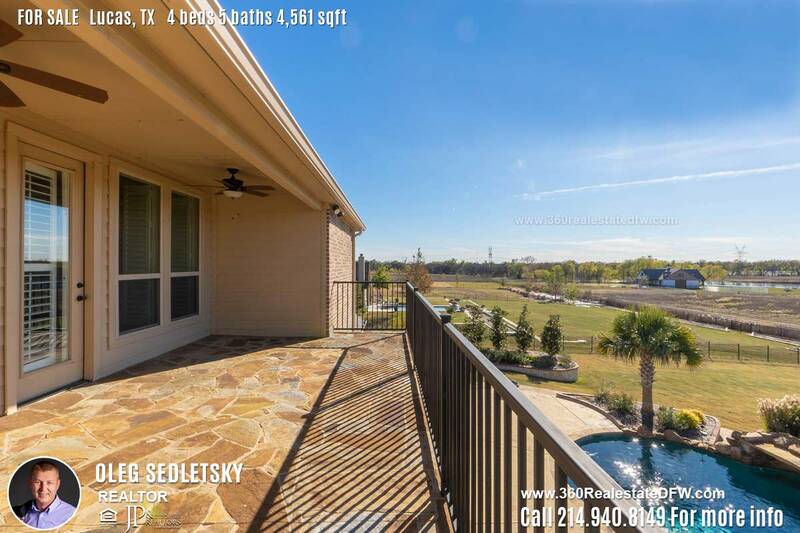 Balcony off game room has flagstone deck & amazing view! 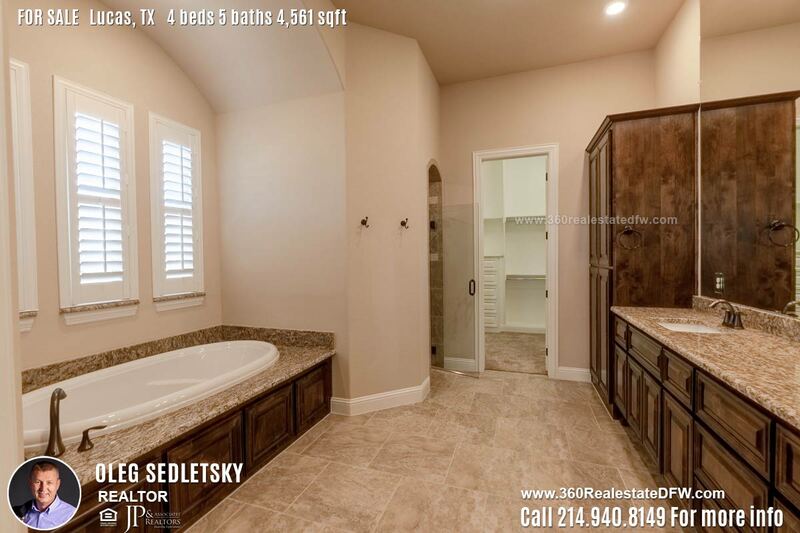 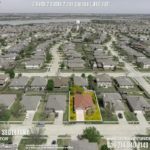 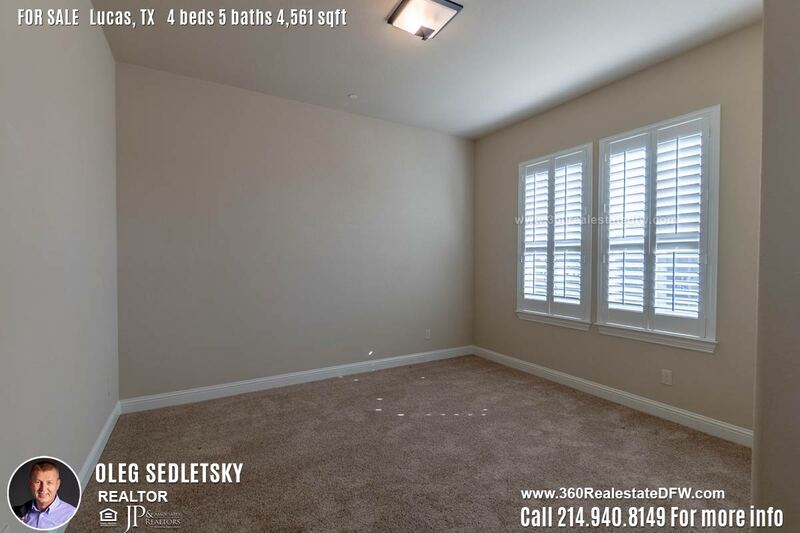 Master & 2nd BR with bath on 1st floor! 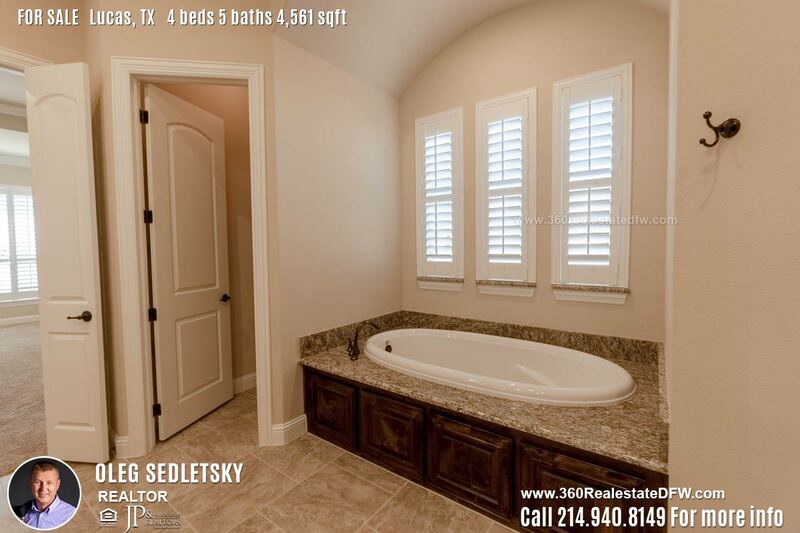 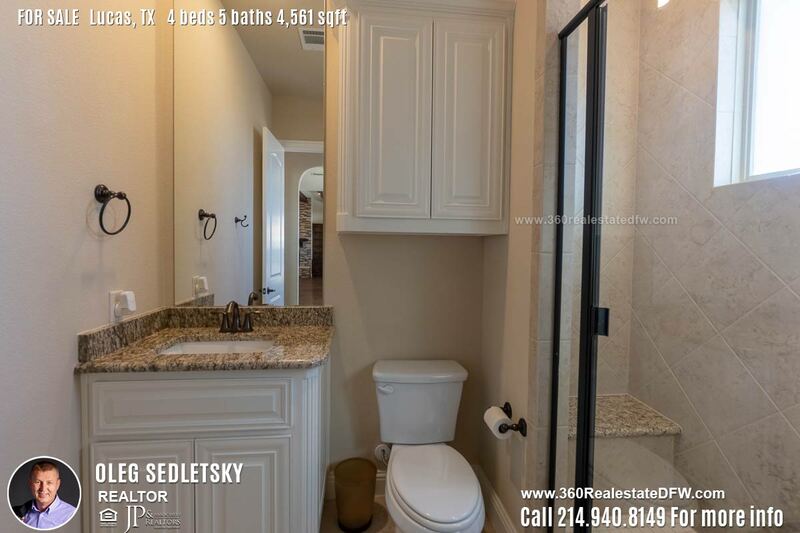 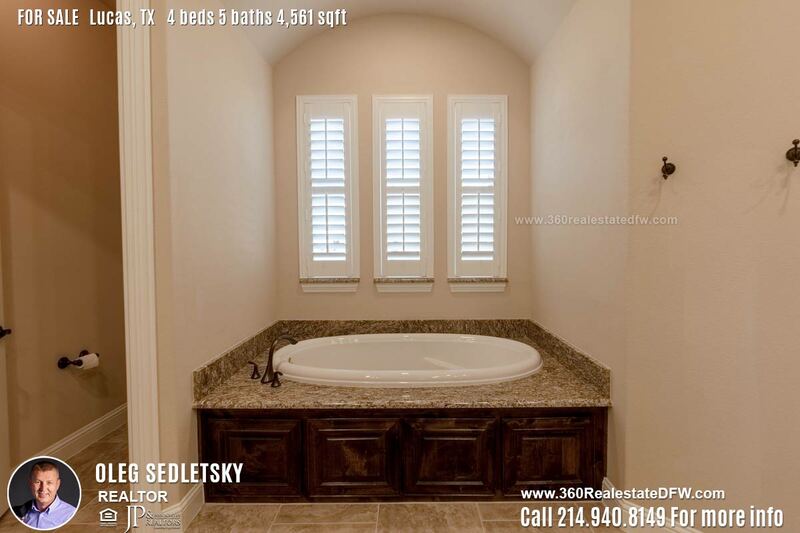 Each BR has private bath with granite countertops! 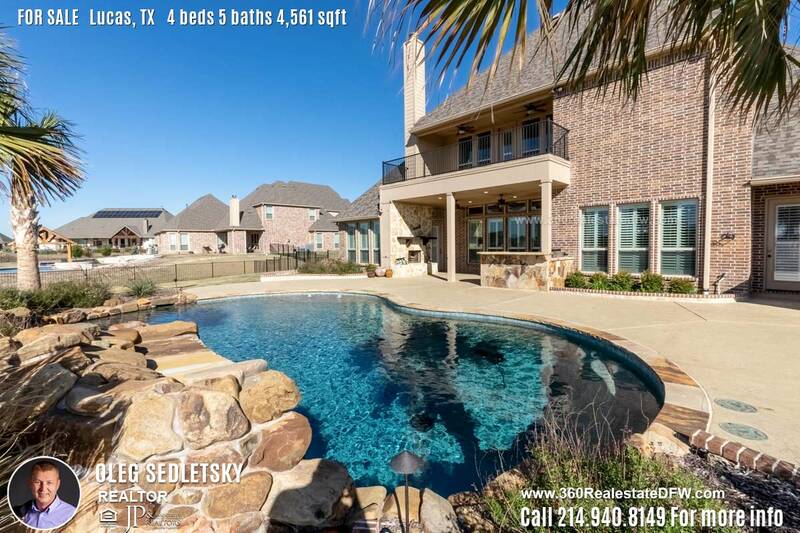 Outdoor oasis with fireplace, gas grill & gorgeous heated pool with 2 waterfalls & tanning ledge!